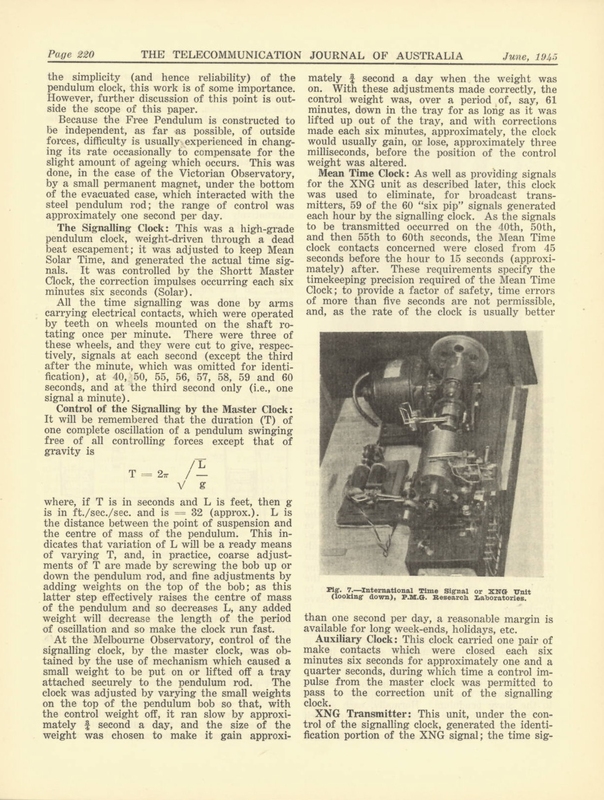 A 1945 technical paper from the Telecommunications Journal of Australia is revisited that describes the timing and signalling equipment used at the Melbourne Observatory between 1853 and 1945. The equipment was used to provide the Victorian Time Signal Service for over ninety years. The measurement of time has a long history stretching back thousands of years. In most ancient civilisations the sun and the moon were observed to determine the time of day, the lunar cycle and the seasons. 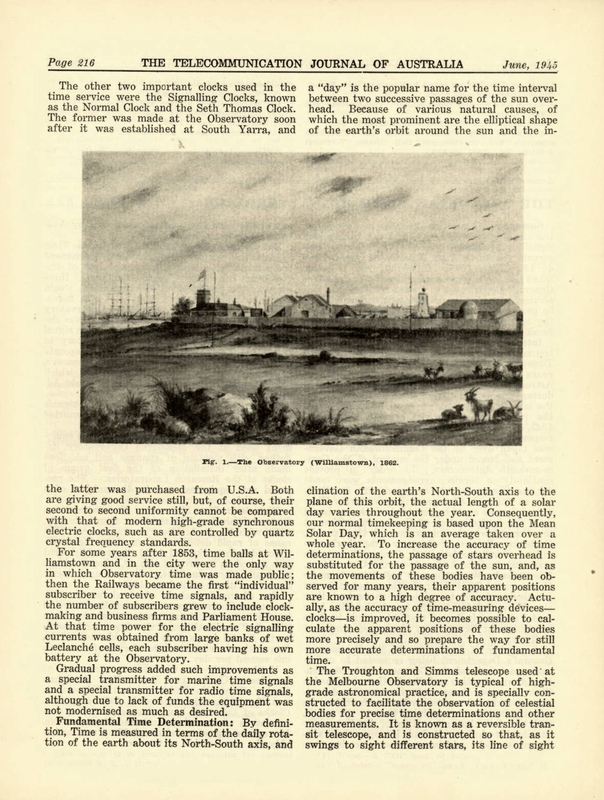 This led to astronomical observatories being the traditional sources of time measurement. The Observatory closed in 1945 due to encroaching light pollution from the city. 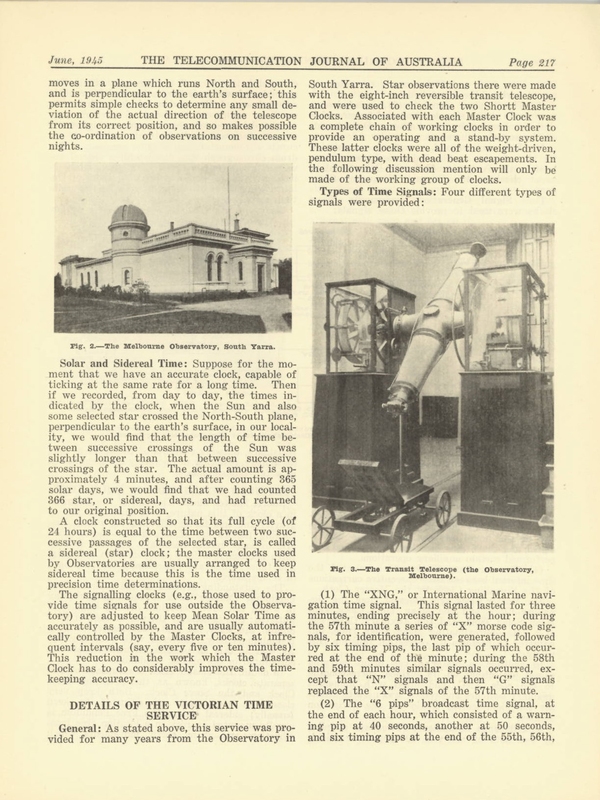 The TJA paper describes in detail the timing and signalling equipment in the observatory at the time of its closure in 1945, including the pendulum reference clocks and the transit telescope. The paper also discusses the electro-mechanical equipment used to insert the time signal pips into the time signals. Naturally, special precautions were taken in 1945 to ensure the time references were not disturbed in the transfer from the Observatory to the PMG. 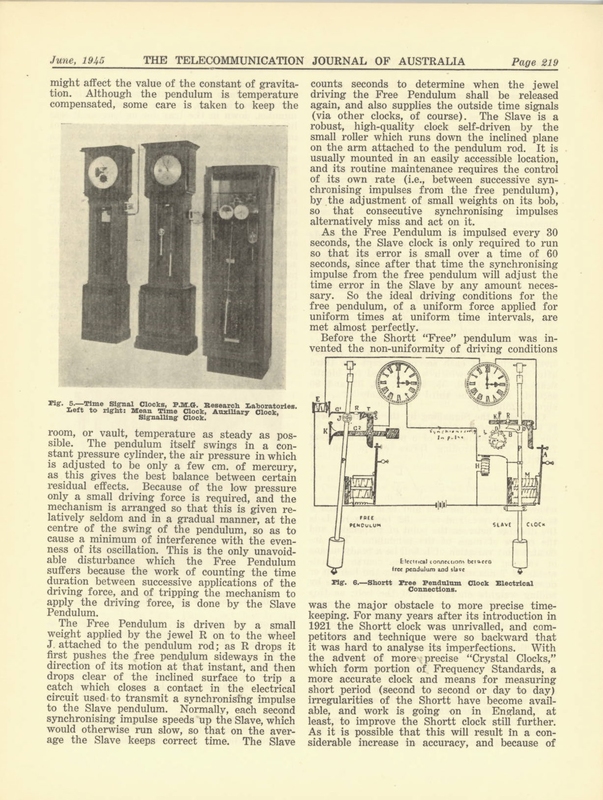 The PMG also developed new electronic equipment (rather than mechanical mechanisms) to increase the reliability of the pendulum clock references and create the time signal pips. 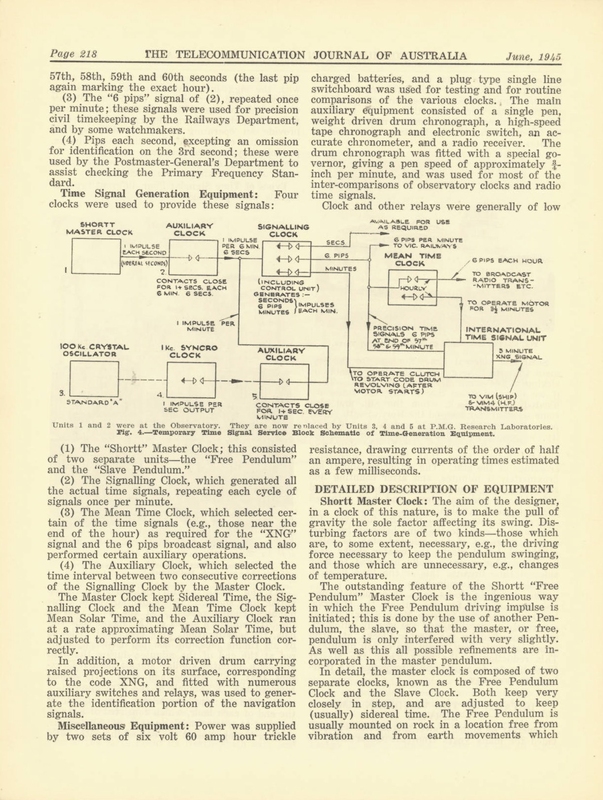 The transfer of the time signal service to the PMG in 1945 was logical, given the PMG had the means to distribute time references throughout their national telephone network and via high frequency broadcast stations like VNG Lyndhurst in Victoria. Accurate time references have always been required by professionals such as surveyors, for pinpointing locations in remote Australia. 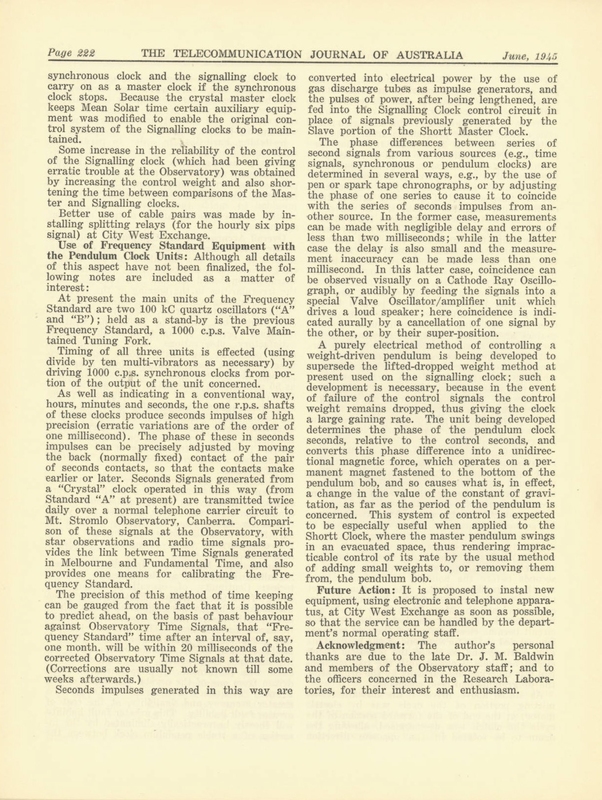 Cannon, A.H. 1945. 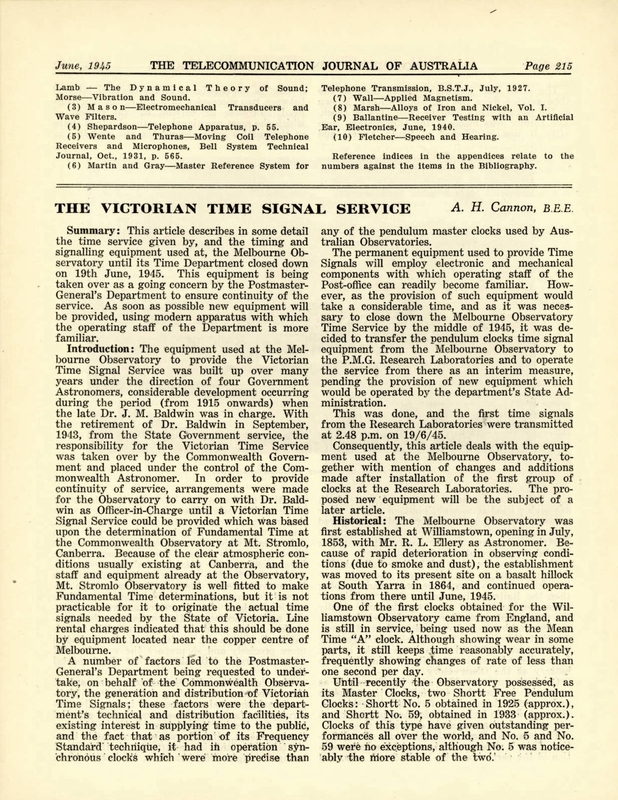 ?The Victorian Time Signal Service?, Telecommunications Journal of Australia, June 1945, Vol. 5, No. 4, pp. 215-222.